Handmade and Studded leather wrist cuff from Old Stud Handmade. 1 1/2" wide. 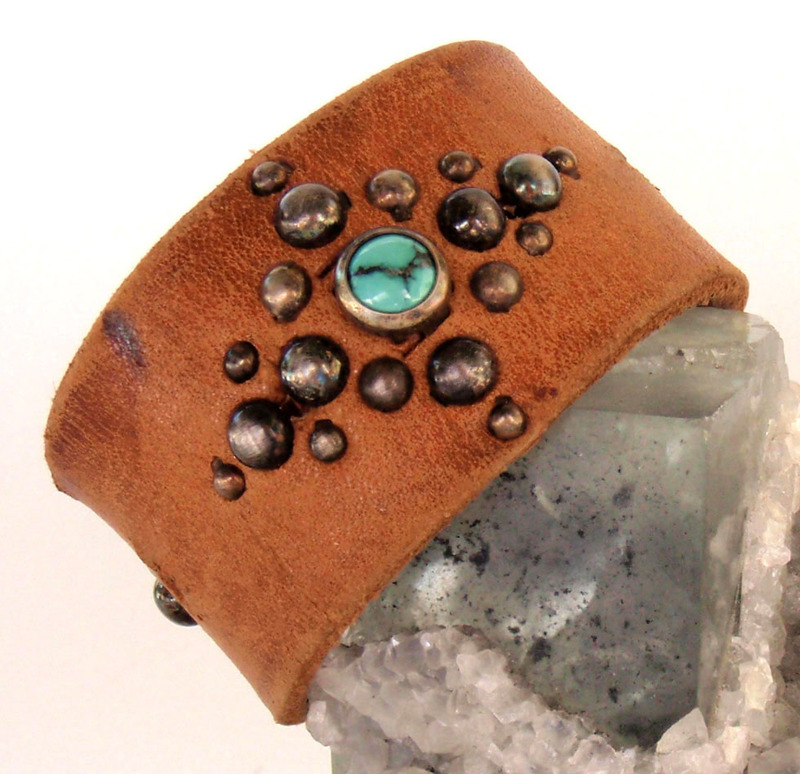 Shown in Vintage Tan leather and Turquoise stones.